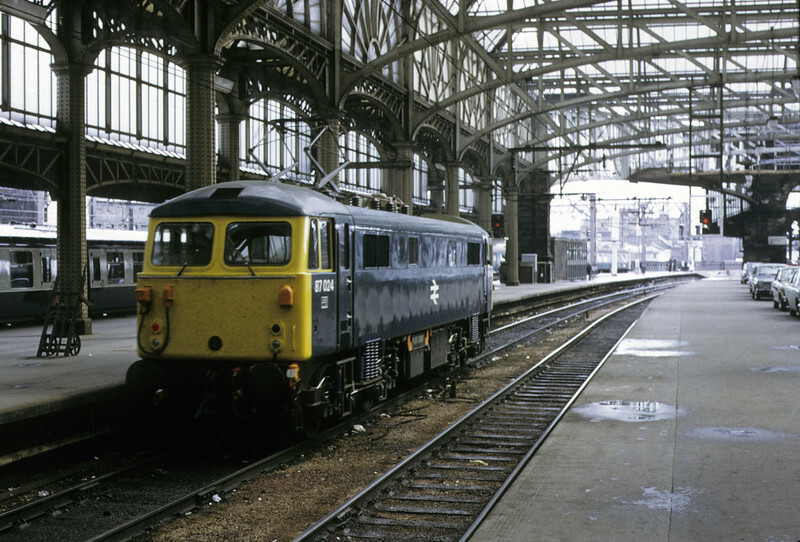 Seven photos of blue diesels and electrics at Central and Queen Street stations. 87024, Glasgow Central, 11 May 1974 The 87, not named Lord of the Isles until 1978, backs out of the terminus in the second week of through electric working from Preston. 87024 was withdrawn in 2004 and scrapped. Photo by Les Tindall.